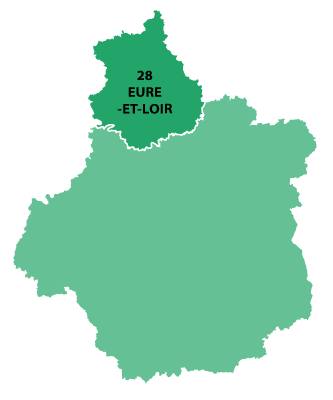 Chartres is in the Centre Val de Loire region. 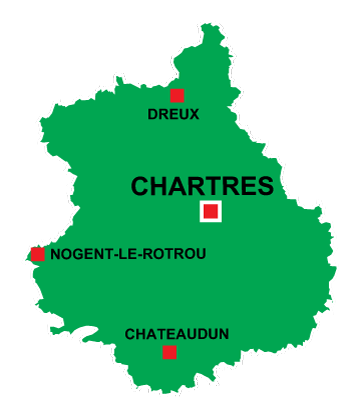 Charter is located directly to the south west of Paris at 90 kilometres. The city lays on the banks of the river Eure, the town begins its life as a small river port. The Romans named to town as Autricum. In the 11th century Chartre becomes an intellectual and spiritual centre. 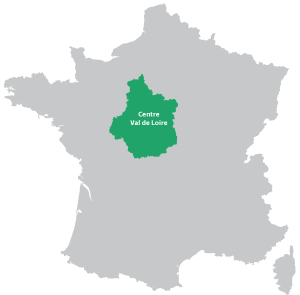 In 1328 the town becomes part of the French kingdom. Construction of the cathedral begins in 1020, but is destroyed in 1194, a new attempt is made and accomplished in the 13th century, today resembles what can be seen today. The cathedral is a ras World Heritage with UNESCO. Dating from the fourth century, its influence and power continued through history. More than 130 metres long with a height of 37 metres, the cathedral towers above the surroundings. The web site offers a complet history, photos and details about on of France's most important historical buildings.